Apart from Pixel phones, which are entirely “made by Google”, it’s practically impossible to think of any Android devices supported by their manufacturers from a software standpoint beyond the two-year mark. Some OEMs even stop routinely upgrading the security of their handsets a year or so after commercially releasing them, but not OnePlus. This small but fast-growing company has already delivered one of the fastest Android Pie goodie packs to a non-Pixel phone, inching closer to an official 9.0 rollout for last year’s OnePlus 5 and 5T as well. 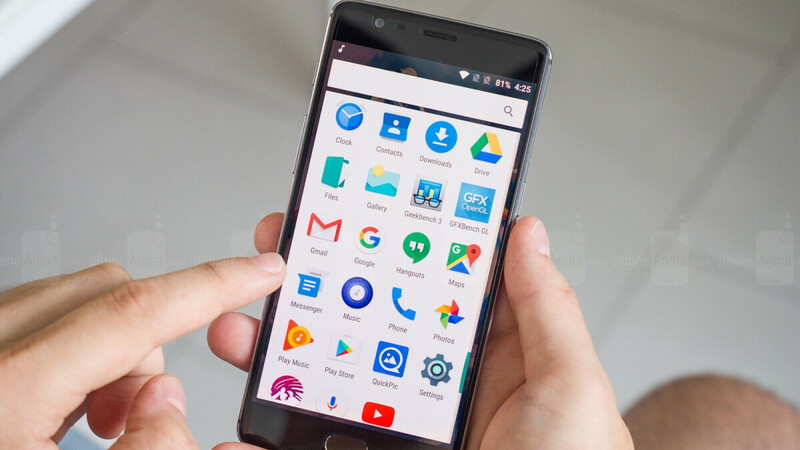 What’s perhaps even more impressive, not to mention highly unusual, is that the OnePlus 3 and 3T were also promised major Android P updates a few months back instead of arguably more trivial 8.1 OS enhancements. While that’s presumably being worked on, the two 2016-released devices are still getting “general bug fixes” and fresh security patches. Today’s OxygenOS 5.0.7 OTA rollout start comes just a couple of months after a similarly minor OxygenOS 5.0.6 build, while back in August the OnePlus 3 and 3T also scored OxygenOS 5.0.5 updates. That’s three rounds of bug fixes in the space of a little over 90 days, which is something other companies can’t even deliver for their hot new 2018 flagships. With OxygenOS 5.0.7, the OnePlus 3 and 3T should not only boast better system stability than ever before, also rocking Google’s latest security patch level (the November package), with support for those ultra-affordable OnePlus Type-C Bullets earphones thrown in as an extra deal sweetener. As always, you’re looking at an incremental over-the-air update, which means only a “small percentage of users” can download and install it right now, with a wider deployment to follow in the next few days. "practically impossible to think of any Android devices supported by their manufacturers from a software standpoint beyond the two-year mark." Nonsense as usual. Xiaomi are still updating 2014 models. Vivo (sister company of Oneplus) also gives continuous updates. Maybe that's one of the resons Xiaomi and Vivo sales are getting stronger. Vivo was No.1 in China last quarter. His hands never in life held Xiaomi phone ( author ). His practical knowledge therefor is limited. I was surprised to hear that even as old as 2014 models got updated recently but new they do better with updates then most of industry. These guys at PA are encapsulated in some sort impenetrable time and space shield that is virtually misaligned with reality. For most people Android means Samsung and that's their benchmark. PA should know better but I think they deliberately perpetuate the update fallacy as part of their secret contract with Apple. Meanwhile in America iPhone means smartphone and they're simply starved of choices to know any better. Agree. They are sticking to agenda and agenda is income so the tools to achieve results. Fallacy, mislead and cherry pick are among most favourited by PA. But hey, we are the guardians ! Some flagships hardly provides any tbh. But I get what you say. Not true. Their software version is based on the current android OS. They may be 6 months late but they're sure to come. Security patches etc are monthly either way. I'm glad I have a 2016 Pixel, so I can be first to get software updates *as I look at my software being on the Oct security patch, because Google hasn't released the Nov patch for first gen Pixels yet...taps foot* But this is impressive that OnePlus really stepped up to the plate starting with the OnePlus 3. They are sticking to the 3 years of updates (security updates, anyway). After they sort of burned the OnePlus 2 users with only about 12 months of updates by forgetting they even made that phone. That's unusual because my Vivo is already on the November patch.